Welcome to the first in a series focusing on the BROWN's Historical Library. Long before the BROWN came to Baltimore, she was collecting books, training and reference manuals, and other materials as a school ship for many years. 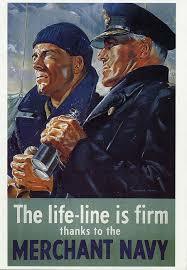 Project Liberty Ship has continued to receive, collect, and preserve historical materials for more than two decades. Here, we will take a look at some very cool (for lack of a better term) artifacts and books we have rediscovered. Above: A look into the library in progress. All of the carpentry seen here was custom designed and built by two of our volunteers. At this point in the process, there were more than 400 different items that had been digitally catalogued, including autobiographies, pictorial histories, self published personal memoirs and even anthropological studies. Below: A 1914 Webster Dictionary and Vest Pocket Library published in Baltimore MD. The watch (not historical) is for size comparison. Until very recently, no in-depth inventory has ever been conducted. Several members of PLS have recently undertaken the task, creating a virtual catalogue of all of the materials, searchable by title and author to related subject matter and even years of print. The most recent set of books brought in to the library, ready to be inventoried. Talk about having your work cut out for you! Some artifacts are more interesting than others, if only for the documents, information, and even service awards that are included with them. There have been many interesting finds, most of which relate directly or indirectly to the United States Merchant Marine and subjects such as World War II naval history and even admiralty law. A US Navy Bluejackets' Manual, with a picture of its owner and his wife, a professional model, from 1944. This is a short excerpt from a very cool 1944 printing of Nor Death Dismay, a real accounting of American Merchant Mariners in wartime and their stories. weapons in their hands, to face an enemy armed with the most frightful of weapons; unarmed men, who had gone out without hesitation to face death. These were the men of American merchant ships. But secrecy enveloped the comings and goings of these men, secrecy was enforced upon all the movements of ships at sea. All that the people of America could be told was little indeed. With mounting sorrow, week after week, they read the terse statement that an American cargo vessel (unnamed) had been damaged or sunk; but they could only guess at what the men upon such a ship had endured. Seldom did any detailed account find its way into print, and even then neither ship nor men were named. The people of America sensed that the men of the American merchant marine were men to be proud of—but only the men themselves knew what the sea masked. Of the unending carrying of military equipment, troops, and food for our Allies, from American ports to ports overseas, this was said: We simply do not know and cannot yet be told the cost of these operations. Ships go down, and men with them, and their battles are seldom recorded. The merchant seaman voyages from mystery to mystery. Never since men explored unknown waters in rude sailing ships has the sea witnessed so much risk, so much loss, such splendor of the human spirit, nor so vast a crisis in mankind’s fate. 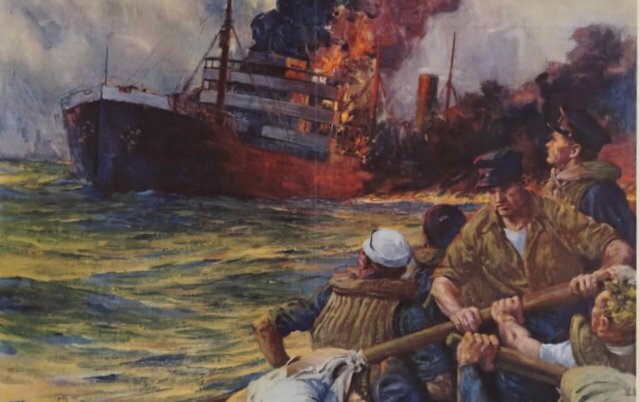 When that was said, one American steamship company—the American Export Lines—had already begun to gather from its own ships’ officers their personal narratives of war-time voyages. The voyages here described form but a small fraction of the thousands of war-time voyages successfully completed by the vast fleet of cargo-vessels directed by the War Shipping Administration. Every steamship company in the United States had joined in that titanic enterprise. The present narrative does not even include the hundredth part of what the officers and men of this one company accomplished. What is set down here can serve only in faint measure to indicate the courage, the loyalty, the cheerful acceptance and performance of tasks beyond man’s strength to perform—but which the men of the merchant marine did perform—that was typical of all. The long voyage ending, the tired ship-having delivered her precious cargo, taken through countless dangers—moves slowly up the harbor and comes at last to the pier which is her home. Shore workmen swarm around and over her littered decks. The men of her crew, joyfully or gloomily, prepare to go ashore. But the work of her deck officers is not yet finished, although the mate, bending over the broad-paged log book in the chartroom, has written with the stub of a pencil, upon its final page-that entry that compresses into its few short words all the immense relief of men who for weary months have been bearing the unbearable burden of responsibility, secrecy, and unceasing danger of sudden or dreadfully lingering death! “Arrived, 9:21 A.M. Secure at pier. F W E.” “F W E”—“Finished With Engines.” A sigh of ineffable relief! The rough-log has been finished; but the ships Master has still many duties to be done before he may rest. Last of all these, there is the Voyage-Letter to be prepared—that brief summary of all the significant events of the voyage, from its beginning to its present end, which will preserve forever the record of an American vessel and the American seamen who served upon her. So What Do You See From the Ship?